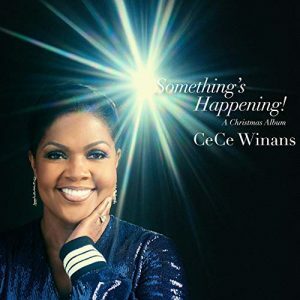 Gospel music icon and Hall of Fame member CeCe Winans gears up for her fourth holiday recording, Something’s Happening! A Christmas Album (Puresprings Gospel/ Thirty Tigers). The 11 track musical delight features Christmas classics and new songs perfect for holiday gatherings and trimming the tree. The contemporary collection of compositions is available at iTunes, Amazon, Apple Music, Spotify, Pandora, Barnes & Noble and other music retail outlets. 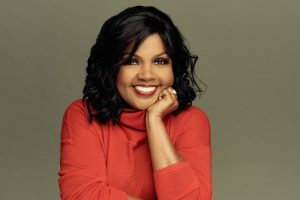 Once again, Winans teams up with her son Alvin Love III, a Grammy winning producer, to deliver a smorgasbord of festive songs that will have listeners coming back for more each year. Something’s Happening! A Christmas Album will no doubt be added to consumer’s holiday stash of favorites. Alvin penned five new songs for this spirit-filled Christmas album, incorporating five classic tunes with a distinctive musical twist. For this effort, Love invited the Zagreb Philharmonic Orchestra conducted by Tim Akers and recorded at Vatroslav Lisinski Concert Hall in Zagreb, Croatia. Billboard Magazine premiered the single, “It’s Christmas” noting its’ upbeat, Motown-flavor that apparently had some musical influence on the Detroit born singer. This is Winans’ first solo Christmas album since the release of His Gift in 1998. The vocals are masterful on this album and Winans doesn’t fail to seal her signature sound into each song. From start to finish this album brightens the smile and lightens the heart, reminding us of the true meaning of season. Something’s Happening! A Christmas Album is available at all digital and retail outlets. This entry was posted in News, Press and tagged Alvin Love III, CeCe Winans. Bookmark the permalink. Trackbacks are closed, but you can post a comment.